OKAY. Today, this will be short and sweet. Promise. In my second post about rolling textiles (read the first post here), I want talk about what to do with the rolls when you’re done with them. 3. Piping, one for each “rung”, measuring at least 6 inches longer than your rolled textiles so you have plenty of room to work with. Pipes should have a small hole drilled in it on each edge. 3. 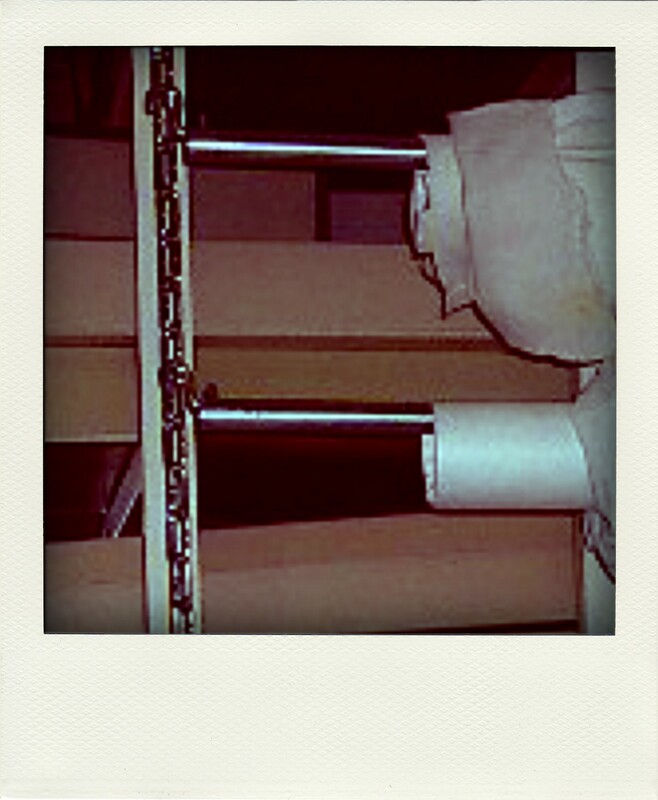 S hooks, to attach the pipe to the chain. 1. Hang the chain by either supporting it from the ceiling, or from a shelving unit. Make sure it can support the weight of all of your textiles and the chain. How do you hang your rolled textiles? 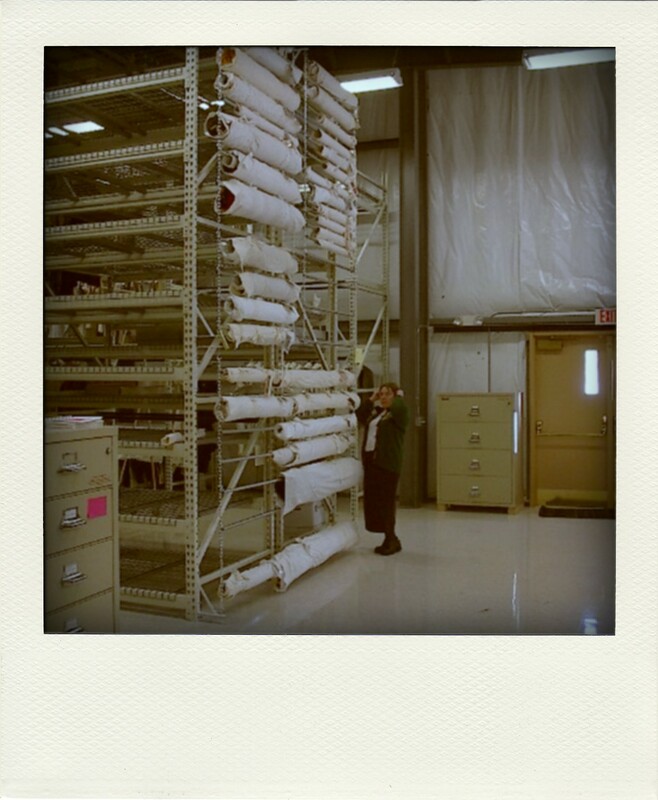 Tags: Collections Management, Collections Storage, DIY, Preservation, Textiles. Bookmark the permalink.